NOTE: This article contains a potentially disturbing photograph. 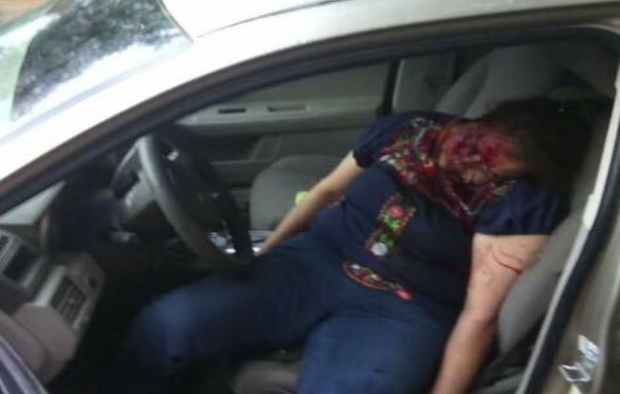 On Monday June 20, a group of several armed men killed journalist Zamira Bautista Luna in Ciudad Victoria, Tamaulipas. Tamaulipas is one of the most violent states in Mexico. 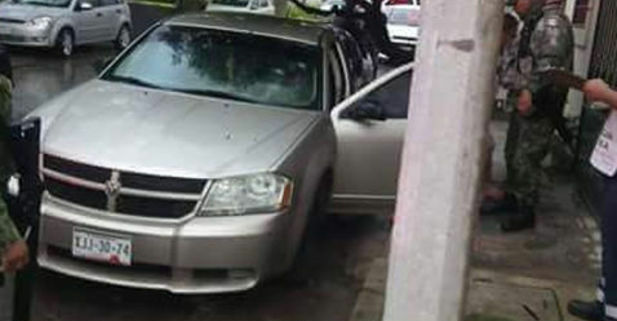 Bautista Luna was shot while riding in her vehicle. According to a report by Radio Formula, Zamira Bautista Luna, 44, was a freelance journalist and also a high school teacher in Ciudad Victoria. She previously worked for Televisa network and local radio station “La Poderosa”. But she was currently collaborating with “La Verdad de Ciudad Victoria” and “El Mercurio” local newspapers for the Society News section. The Inter American Press Association (IAPA), declared in a statement, it deeply lamented the murder of the journalist, and expressed “indignation” and “impotence” towards this crime. At one point of its bulletin, the IAPA said that right near the body of Zamira Bautista a message was left on a card, allegedly by the perpetrators. One day before her death, reporter Elidio Ramos Zarate was assassinated in Juchitán, Oaxaca, while taking photographs of protests there involving striking teachers and police and soldiers. So far this year, according to data from the organization “Reporters Without Borders”, at least 8 journalists have been killed in Mexico. A total of 23 journalists have been reported missing or murdered in Mexico since 2003, two per year on average. Tamaulipas, Veracruz and Michoacan account for 65% of cases in 12 years. 96% of disappearances correspond to reporters covering issues of corruption and organized crime, according to the “Artículo 19” organization.